6ft/8ft rectangular, 48" round, 60" round and 72" round tables. It would accommodate 15pcs round tables or 16pcs rectangular tables. can lock the swivel casters to secure it in place when not in use. 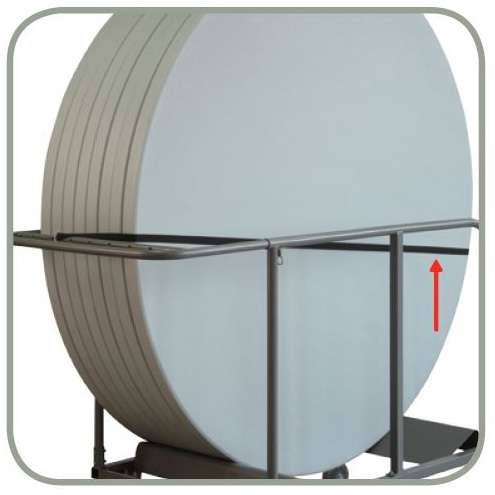 Polyester strap with tensioning mechanism to hold the tables in an upright position when the trolley is half loaded.